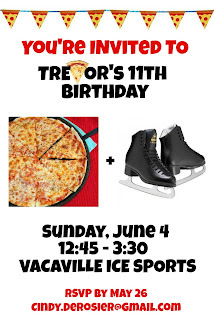 Trevor turns 11 tomorrow. 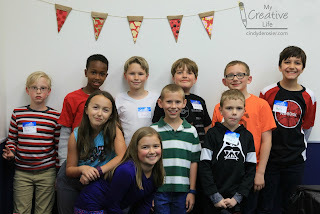 Because he has school and Scouts, we held his birthday party on Sunday. It's always fun seeing what he chooses for his theme. Over the years, he has had an Olympics-themed party (age 10), a How to Train Your Dragon party (age 9), a Star Wars party (age 8), an Angry Birds party (age 7), a Lego party (age 6), a Zoo party (age 5), a Maze party (age 4), a Monsters Inc. party (age 3), a Cookie Monster party (age 2), and a Very Hungry Caterpillar party (age 1). Any guesses what this year's party theme was? Did you guess pizza? Because that's what he chose! 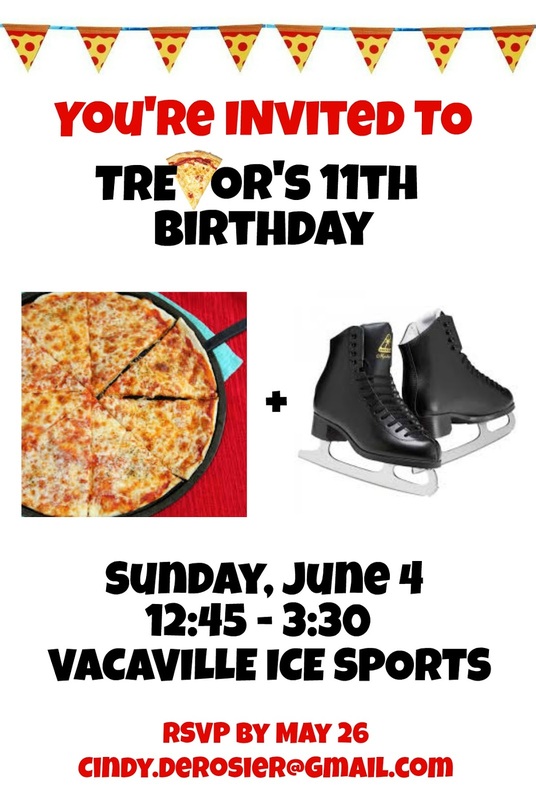 He designed his own invitation this year (with a little help from me) using PicMonkey. 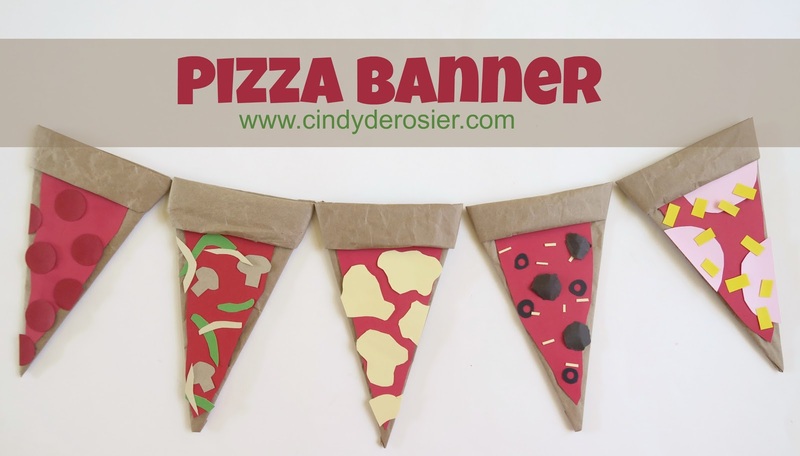 Trevor and I made a pizza banner to decorate the party room. I'm really happy with how it turned out. Cut the chipboard into triangles, then wrap each triangle with the packing paper. Roll some of the packing paper into a tube to make the crust. Wrap it around the top of the a triangle and tape it in place. The photo shows the four stages. Repeat the steps to make the number of slices you want in your banner. Cut some red construction paper sauce, slightly smaller than the pizza triangle. Don't cut straight lines, as irregular shapes look more realistic. Glue the sauce in place and repeat for each pizza slice. Decorate your pizza slices with whatever toppings you want. 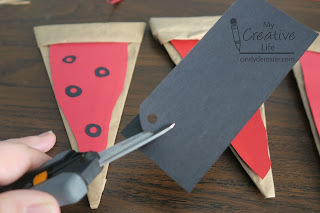 We used a paper punch on dark red to make pepperoni. We cut tan mushrooms, cream onion slices, and green peppers by hand. 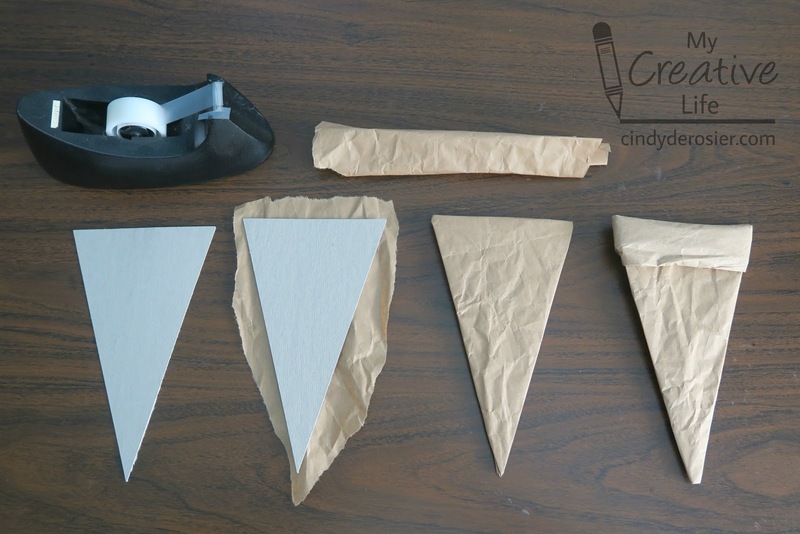 We cut blobs of cream construction paper to look like cheese. We cut large pink circles for Canadian bacon and small yellow rectangles for pineapple. The easiest way to cut olives from black construction paper is to use a hole punch first, then use scissors to cut around the center hole. Here is Trevor with his party guests beneath the pizza banner. Tomorrow I'll share the cake that Trevor and I made for his party. As you might have guessed, it looked like a pizza... and fooled quite a few people! What a fun and unique theme! Happy Birthday Trevor! I knew I loved that kid!!! PIZZA!!! Yayyyyyyy!!! Happy birthday Trevor!!! LOVING that banner!!!!!!!!!!!!!!!! 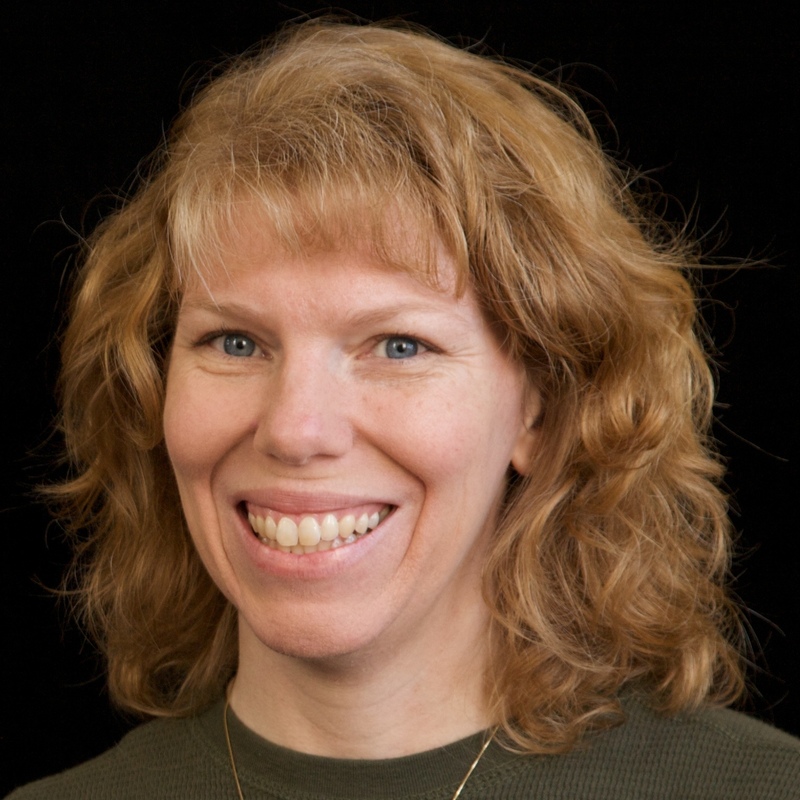 Debuting My Kid-Friendly US Travel Resource!